Pieters deal dead, Cissokho deal cooling. Santon now seems most likely. | NUFC Blog. Erik Pieters’ alleged move to Newcastle United appears to be dead in the water, interest in Aly Cissokho is cooling, so Davide Santon seems the most likely to be our new left-back. It seems press reports that Erik Pieters is ‘close’ to joining Newcastle are wide of the mark if the Dutch press is anything to go by. Various Dutch newspapers are reporting that Pieters will stay at PSV after talks with Newcastle broke down last week. It’s seems that a disagreement about transfer conditions was at the heart of the problem, although some of the press are suggesting that, because the talks were dragging on, PSV withdrew anyway because they would not be able to find anyone to replace Pieters at this late stage in the transfer window. Likewise, the French Press is reporting that our interest in Aly Cissokho is cooling. The French Press suggests that we were in actual negotiations with Lyon about taking Cissokho but have suddenly withdrawn due – they suggest – to our recent interest in Davide Santon. Certainly Santon seems the favourite if the various press reports are anything to go by, but I wonder if Newcastle are keeping all three on the boiler to see if any bargains could be struck late in the transfer window. Reports suggest that our €6m offer ‘satisfies’ Inter Milan’s requirements in terms of a bid and it’s now down to the details of the deal. Derby win will help with transfers, says Pardew. Perhaps beginning with Cissokho? its a joke, really it is.. the wondow closes tmrw and we need a top draw forward and LB in within a day ffs! we have had 7 months to get in a forward and have zero idea about even who we want so i guess it is safe to say that we will get no forward at all. The LB.. my bet is we get some dross from a lower league or at the very last minute wayne bridge on season long lone. jokers. @3.. sorry mate but thats rubbish. We have had from January and even if you say from the begining of the window.. these players all said they didnt want to come from the very start of the window. Thats it, end of story. Move on. Its the same crap as every window… when they sold AC on jan 31st they made a pretend bid for Zogs for 10 million, knowing full well that his club would not let him go at that stage. WE do this alot.. we make bids on players we know we can not get and then leak out their names so that it makes gulable fans think we are really chasing decent players and have ambition..what a load a waffle. We could bid 70 million for Messi knowing full well he would never come.. does that make you think we actually want him??? Nope we dont, we would bid 70 million so we can turn around and say ‘ hey we tried for messi and went as high as 70 million but couldnt push the deal over the line’.. or ‘the selling club were awkward’ or ‘we ran out of time’ or any of the tried and tested ashley one liners. Sorry to sound negative but we have been in this position in every single window under ashley and sooner or later you loose faith in anything that comes from our management and take it all as utter bullsh1t. I bet Gervinho wishes he joined us now after whats happening to Arsenil. Sad to say but with all the pi$$ing about, I reckon its likely we’ll end up signing nobody of any stature. We’ll also have succeeded in gaining a reputation of being a duplicitous and unethical club to deal with….. or and not fogetting the small matters of being reported for ‘tapping’ player up – and a possible transfer ban (which will at least give Llambias a solid reason for not spending! I agree with you nufctilliminhell @ 3. It is arguable that the players (Gervinho, gamerio,erdinc) knew, because of their high profile ratings, that they could go to any of the top teams in Europe of which Newcastle wasn’t one of them. They could pick and choose, and they did. Cayabe has said that he came because it was a challenge, but others would say risk. We do not sit at the top table of european and national league football and therefore we cannot expect top European players. We are, however, attractive to middle level players and/or younger players wanting the opportunity to test themselves in the toughest, most watched, one of the best paid and most exciting leagues in the world. I just think we have been led up the garden path by the sh@t who run our club. How the hell can it take so long to find a decent forward. Ashley has no ambition to take us forward and if he wants to `follow the Arsenal philosophy` then shouldn`t the state they are in now be a warning? We have been fed little snippets to keep our inrerest and the belief the club is trying to bring in quality only to be told weeks later the potential target wanted too much money or now prefers to stay with his current club. We are all mugs really for believing the board want to take us higher say to a top 8 finsh. Sorry for the pessimism but until we get new owners who have a bit of passion for the club and the game in general we will continue to be told that a good season is when we survive in the premiership be it 17th or mid table. 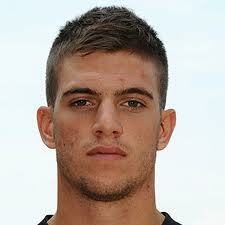 Santon has gone to Arsenal, according to radio reports. Regarding your comment about players going to Arsenal; they are still in a better state than NUFC. I would rather be in their overall position than ours. We are now in the very mediocre class and things just seem to get worse day by day. I’ve had enough of it. I agree with everything Craig has said about this pathetic situation. They take us for mugs. Well, there were 10,000 less mugs there at the weekend. its andre santos not santon.. Took the wind outa me sails stelios! Apparently we are in advanced talks with maiga or whoever. PARDEW SHOULD FEEL DUM AS !! What were your expectations at the start of the transfer window? How long do you think it takes to buy a decent forward? Do you honestly expect the club (or any club) to announce the exact details of their plans? Do you think these are outrageous excuses or plausible reasons why a player wouldn’t come to Newcastle? I understand that Santon is now having a medical. Terrible isn’t it that we have been forced into replacing a wannabe Spanish international with an actual international. I also understand that Darnel Situ, who has captained the French under-16, under-17, and under-18 teams, is also signing. Another terrible signing? I think some of you protesteth too much simply to show off! You also protesteth too soon – we have done OK so far so wait until the fat lady sings tomorrow then weigh up our balance – so far we have done well compared with most “normal” clubs, and substantialy cut the wage bill. I’ve got a feeling that the last day this year will set a record – with buying clubs shipping out bargains – there will be shocks & surprises galore. Sochaux have confirmed that Newcastle have moved for Modibo Maiga while they are in ‘advanced’ talks for Leeds United’s Max Gradel. The Magpies have been tracking the Mali international throughout the summer and are believed to have offered €8million (£7m) to secure his signature. Sochaux chairman Alexander Lacombe is against losing one of the club’s brightest talents as he looks keep the team as competitive as possible. However, he has hinted the 23-year-old could depart should a replacement be found and the club are hopeful of landing talented winger Gradel. Gradel is an Ivory Coast international and Leeds are ready to accept a transfer fee now rather than lose his services for free next summer when his deal expires. The former Leicester City man has excelled since moving to Elland Road and is believed to be open to joining Sochaux in order to further his career. “There has been an offer from them (Newcastle),” confirmed Lacombe. “But my goal is to maintain a competitive team. “I won’t sell Modibo without having found a replacement. Things are starting to get good. I just hope we don’t get let down. Did we up the Rob Elliot fee to 105k? Rob Elliot’s having a medical, just broke on SSN. Please get in a striker too and alls well (ish), though we need CB cover. If Lukaku goes on loan to Stoke, that would be a great signing for them. He’ll score buckets full. Santon looks a class act. I know it’s Youtube but if you can keep Ronaldo, Giggs and Beckham at bay you should be class. Couldn’t put it better myself. However, gotta say it’s encouraging to see those moaners very much in the minority on here. Could yet be a blinder of a transfer window, and 7 pts from 9 even without our new LB and striker. If we get Santon and a striker, I’ll be absolutely delighted and looking forward to our third season on the rise. AndyMac, I’m not usually a conspiracy theorist, but I’m starting to think that there may be something in your hypothesis. Only 35 hours left now. Here’s an idea, let’s all stop guessing / predicting / worrying / moaning untill after the deadline, and then take it from there. Ashley may well stitch us up, but he might not, simple as that. is santon having a medical lads? Yeah. Lee Ryder reckons he saw Santon donning our training gear. He’s having a medical, but there may be a problem as Ashley may want him to accept lower wages. Well, that’s what the Italians are saying anyway.